Painting and Decorating, Tiling, Gardening, Odd jobs, wood treatments for fences, decking and sheds. Shed building, loft boarding, concrete bases. Varnishing - floors, doors etc. Residential and Commercial properties. Re-grouting, damp treatment. I am an ex primary school teacher who got tired of Cowboy builders and decided to go back to college and get trained up myself. I started with plastering, moved onto tiling and finished by doing Painting and Decorating. I have also taken short courses in Plumbing and Electrics, just to give me a greater understanding. See my website fixmyhouseup.co.uk for more about me and what services I offer. I am also on Instagram and Twitter @fixmyhouseup. I am listed on MumstrsutedBromley, WOWBromley and Mums.net Bromley. As might be able to gather I live in Bromley and work in the Bromley and Lewisham boroughs mostly. I do sometimes take work further afield depending on the size of the project. 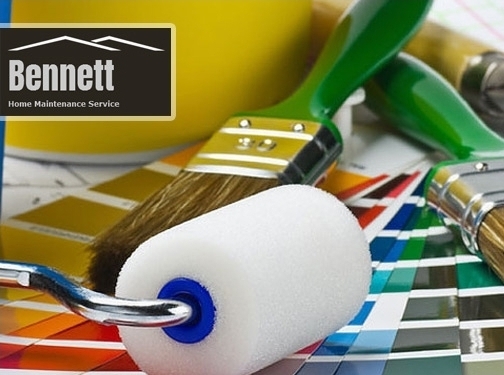 UK (Bromley) based business providing a range of trade disciplines including painting and decorating, tiling, gardening and shed-building. Website includes details of services provided, testimonials, full contact details.